Chika Ike has a book out and it is majorly centered on her journey through life and also inspiring people to achieve their goals and aspirations. Chika Ike’s determination to become successful was probably as a result of her early childhood. Growing up in a very comfortable middle-class family, Chika Ike had access to all the nice things every little child desired. The joy of living a pleasant lifestyle was however cut short after her father’s business nose-dived. This however changed everything for the actress and her family. She was able to share in details, how her family had to struggle for a while after her father’s business collapsed; from moving into a bakery to losing their nannies, it was indeed a hard time for her family. Despite the abrupt end to a once luxurious lifestyle, her parents were still able to give her siblings and herself all that was needed to put on them right path. It is said that most times, a woman’s first love is her father because most times they share a very unique bond. However, that wasn’t the case for Chike Ike. In the book, it was more like a cat and rat story. Chika Ike revealed how she noticed from the early stages her father’s weird behaviour towards her. She felt he resented her. Despite her mother’s several efforts to improve their relationship, it didn’t work out. In the book, Chika Ike confronted her mother after his death to understand why he didn’t like her. After a shouting match, her mother told her how her father thought she would be a boy and when he realised that he didn’t get what he wanted, he became hostile towards her. Her name Chikadibia (God is bigger than a soothsayer) was given to her after it a soothsayer who had told her father she was going to be a boy failed. In this book, Chika Ike opened up about her relationships. One might be surprised that a beautiful woman like Chika Ike would have any guy crawling at her feet. Well, one of her relationships ended after she found out that her boyfriend wasn’t just cheating on her but with her friend who she housed for two years! Yep, shocking and like we would say these days, deep! 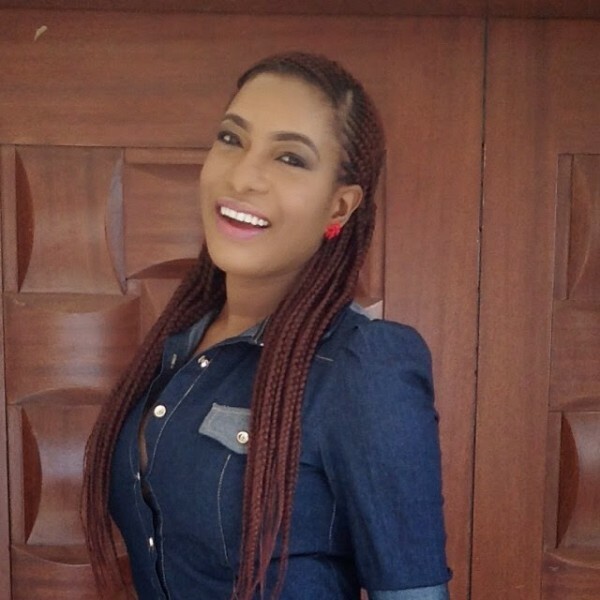 Chika Ike found love early when her acting career began to blossom and did whatever normal person would have done, get married. Well, it didn’t take long before cracks began to show in the union as she experienced domestic violence in her matrimonial home. Chika Ike revealed in the book how she found out from a neighbour that her husband was having an affair with her best friend. The marriage however collapsed with the actress concentrating on her career.